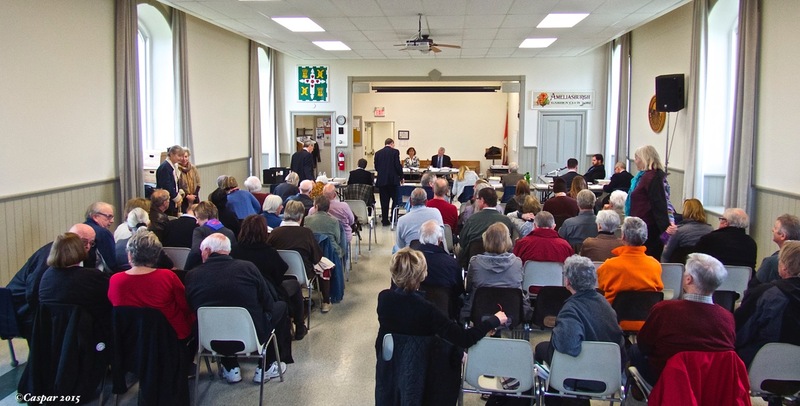 Of interest to many people within Prince Edward County is the recent Ostrander Point wind project case Remedy Hearing decision. Osler Hoskin & Harcourt LLP is a legal firm that has followed this ERT Appeal throughout the course of the appeal and has provided articles on the decisions made by the Ostrander Point Wind Project Environmental Review Tribunal, the Ontario Division Court and the Ontario Court of Appeal. In its June 6, 2016 decision, the Environmental Review Tribunal (Tribunal) revoked the Renewable Energy Approval (REA) that had been granted to Ostrander Point GP Inc. (Ostrander) to develop a nine turbine wind farm. This decision is relevant for stakeholders in Ontario’s renewable energy industry because it is the first case to provide insight into how the Tribunal will exercise its discretionary remedial powers where a REA is found to meet the “harm test” in section 145.2.1(2)(b) of the Environmental Protection Act (EPA). Click here to read the full article. Additionally, here are some related articles Osler has published on the Ostrander Point and the White Pines wind projects. By now many of you will have heard about the ERT finding in favour of the Prince Edward County Field Naturalists (PECFN). In a written decision issued on June 6 the Environmental Review Tribunal (ERT) revoked the Renewable Energy Approval issued to Gilead Power for its Ostrander Point wind project. The ERT concluded that a wind project at Ostrander Point will cause irreversible harm to the local population of Blanding’s turtles and will lead to the eventual loss of the population. In this remedy hearing under s.145.2.1(4), the Tribunal has found that Ostrander and the Director have not proven, on a balance of probabilities, that the remedy they propose, consisting of mitigation measures. . .will protect Blanding’s turtle from serious and irreversible harm that would be caused by the Project due to road mortalities, predation and poaching. Our hearty congratulations to PECFN’s legal counsel Eric Gillespie and his associates Priya Vital and Graham Andrews on this decisive victory. The win was hard-fought and is well-deserved. The following article was posted on Wind Concerns Ontario website and summarizes the Ostrander Point ERT hearings for October 27th and 28th at the Ameliasburgh Town Hall. The appeal of the wind power project at Ostrander Point, on Prince Edward County’s South Shore, an Important Bird Area, and home to the endangered Blandings Turtle, continued yesterday in Ameliasburgh, where revelations from the Ministry of Natural Resources witnesses shocked those attending. It is now not certain when, or if, the proceedings will resume as planned on Friday, October 30. This day was spent in arguments. It began with a motion from Eric Gillespie to demand the release of all the documents from Joe Crowley and Karen Bellamy. The MOECC witnesses had previously been requested to release documents; however, it became evident during Ms Bellamy’s witness qualification that some documents released by freedom of information requests had not been released as a result of the Tribunal order and then it seemed that other documents that should have been released were not. The question of the release of these documents was argued almost through the entire day. The other matter of contention was exactly what Ms. Bellamy was allowed to be examined about. The Tribunal had made a decision that Ms. Bellamy’s evidence would only be related to fact. No opinions could be part of her evidence. As a result it was necessary to go through her whole witness statement to make a decision about which items would be heard and which would not be heard. Finally, at about 4:20 pm the examination of Ms. Bellamy began. Ms. Bellamy responded to questions from Ms. Kromkamp of the MOECC about the Impact Monitoring Plan, Adaptive Management and the Endangered Species Act all as they related to the permits for Ostrander Point. With a brief break at 5 pm so that Eric Gillespie could postpone a previously arranged teleconference Ms. Bellamy was on the stand until 6 pm. Her cross examination by Mr. Gillespie and Mr. Paliere of South Shore Conservancy will proceed when the Tribunal resumes. why did the MOECC and the MNR not release documents, when they were directed to do so by the Environmental Review Tribunal panel? They were only caught out in this because citizens had spent money to do Freedom of Information requests, and possessed important and relevant information. Lawyer Eric Gillespie accused Karen Bellamy of not acting as an advocate for the environment and wildlife as she is supposed to do but rather, acting as an advocate for the proponent. Mr Gillespie also accused the MOECC of stringing out the proceedings and not producing relevant documents over the course of three years and now five separate legal hearings. Costs to the appellants will be an issue, he said. Will the revelations here have an impact on other appeals held in the past, where documentation was also not produced or revealed to the Tribunal? Ostrander Point, once all about a little turtle, now shares concerns with the lawsuit by Mesa Power vs Canada, in which it is alleged that the government contracting process for wind power is “arbitrary” and political; issues such as the role of the MOECC’s so-called “iterative process” (in which the Ministry and the wind power proponent work together to make changes to the project so it can proceed, often without public oversight or notice, as in the Gunn’s Hill project) are also being called into question. This Menu Page is to allow access to APPEC Ostrander Point ERT hearing notes. By clicking on the above link you will be given a summary of the recent APPEC notes.